Donna J. Van Camp, 88, of Tiffin, passed away on Thursday, September 13, 2018 at St. Francis Home. She was born on December 1, 1929, in Tiffin, Ohio to Howard and Mary (Burgholzer) Welter. On October 6, 1951, she married William E. Van Camp, Sr., who preceded her in death on April 25, 2011. She is survived by her daughter, Barbara (Robert) Epstein of Toledo; sons, William, Jr. (Deborah) of Tiffin and James (Lynne) of Bloomville; grandchildren, Andrew Van Camp of Asheville, N.C., Elizabeth (Jonathan) Harrington of Cambridge, MA, Michael (Alexa) Epstein) of Rocky River, Matthew Epstein of Chicago, IL and Johnathan (fiancé’ Kaelyn Armstrong) Van Camp of Bloomville. She was also preceded in death by her parents; stepfather, Russell Booth; and stepmother, Marie Welter. Donna was a member of St. Joseph Catholic Church and a 1947 Calvert High School graduate. She had been employed at the Commercial national bank, but after the birth of her children became a devoted stay at home mother. Donna loved family holiday gatherings, especially on July 4th (Bill’s birthday) and Christmas. 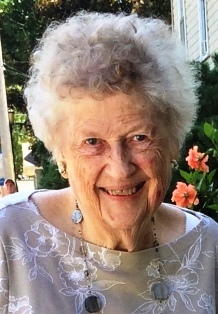 She enjoyed card club with her high school classmates for over 60 years, and, in retirement, rarely missed a day of mall walking and coffee with her friends. She also loved to travel, especially to Mackinac Island. Her greatest joy came from spoiling her grandchildren at every opportunity. The family wishes to thank her caregiver from Comfort Keepers, allowing her to remain in her home as long as possible, as well as those at Elmwood at the Shawhan and St. Francis Home. Her Mass of Christian Burial will be at 2:00 P.M. on Thursday, September 20, 2018 at St. Joseph Catholic Church with Rev. Joseph Szybka officiating. Burial will follow in St. Joseph Catholic Cemetery. Friends may visit with the family from 12 Noon until the time of the funeral at Church. Memorial contributions may be made to St. Joseph Catholic Church or to St. Francis Home or any Animal Rescue of your choice.